Leesburg Public Works Facility | Bentley Architects + Engineers, Inc.
Bentley provided architectural, civil engineer and structural engineering services to the City of Leesburg for their Public Works Maintenance Facility. 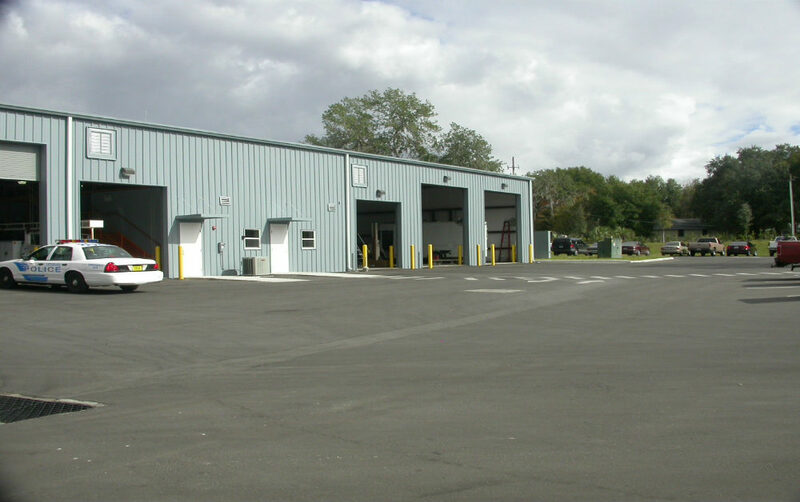 The project was a renovation and new construction of an old FDOT Maintenance Yard. The architectural and engineering this scope of project both include schematic design and layout. The civil engineering elements also consisted of plans for the site and entrance roadway. Architectural elements included plans for the building renovations and new construction, a landscaping plan, cost estimates and bid documents.